Marjorie B. Garling, 83, of Lancaster, passed away on March 7, 2018 at the Glen at Willow Valley Communities, the loving wife of Karl “Ron” Garling. She is survived by 3 children; David, Pam, and Hope, five grandchildren and one great-grandchild. Born in Washington, DC, she was the daughter of the late Charles M. and Ella (Flanders) Bliss. A lifelong volunteer, Marjorie dedicated her life to a variety of programs, generously giving of her time, wherever she was needed most. This included the redesign and management of the Willow Valley North Library. In her spare time, she enjoyed gardening, camping, reading, playing bingo and singing in the Willow Valley Chorale. 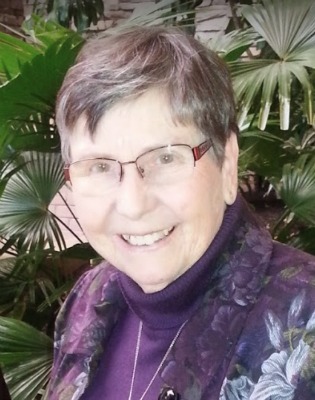 Marjorie was an active member of First Presbyterian Church in Bel Air, MD where she sang in the choir and more recently a member of Ascension Lutheran Church in Willow Street, PA.
Jim and I were very sad to hear about Marge’s death. I especially remember all of the trips that Marge and I took to Baltimore, when we were both on the Board of Lady Managers at GBMC. She was a lovely lady that was always kind, caring and compassionate. Please accept our sincere condolences and know that we are in prayer for you. Ron – we are saddened at the news of Marge’s death. We have lost a kind and loving friend. We know God has welcomed her to his kingdom in reward for sharing her love for Him with so many of us. May you find peace and comfort in knowing many of us share in the loss of Marge. My “other” mother. I will miss Mom Garling so much. I’m very thankful to have so many memories to cherish of her (kitty face) even I was a child, as well as a recent enjoyable visit with her in The Glen. My sincerest sympathy and love to her family and friends. Marge is sorely missed by us and we have many memories if happy times with you both. She was like a sister. Mary and I send our sympathy to Ron and family. God gives us the gift of memory. All of you have many happy memories of Marge to share. I have many fond memories of playing ping pong with Ron.